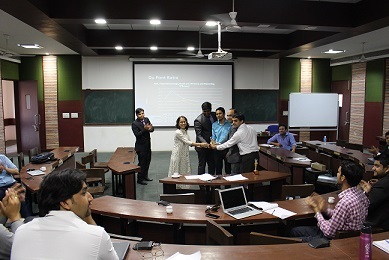 The participants of IIM Indore always take part in several competitions held at various Business Schools across the globe. 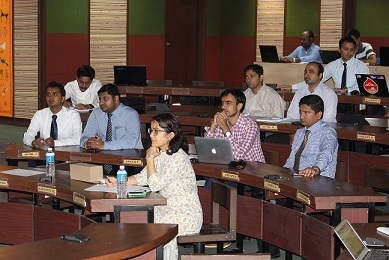 With an objective to aid the participants enhance their skills of analysing financial statements and nurture their leadership and creative abilities, Executive Post Graduate Programme in Management (EPGP) Campus Coordination Committee conducted ‘Bulls & Bears: Can You Pursue a Potential Investor?’ on June 17, 2016. Bulls & Bears was conceptualized as a mode for students to analyse financial statements of any company and make meaningful deductions resulting in a set of actionables. Since this skill is considered of vital importance and is highly appreciated at senior level, it necessitates a lot of practise and experience as well. This also helps to build personality for future leadership roles that every management student aims for. The objective of the contest was to help the participants understand the financial statements of their chosen companies and relating the terminologies to the macro economic trends, so as to make a recommendation to buy, sell or hold a particular company’s securities. 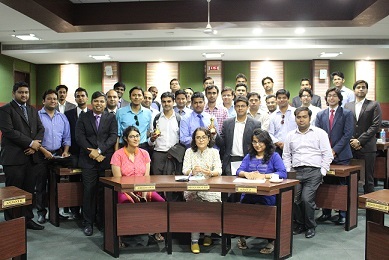 A total of 9 teams participated in the event from all the courses. The judges for the event were Professor Radha Mukesh Ladkani, Faculty, IIM Indore and Mr. Pranav Dubey, Placement Officer, EPGP. The teams had selected an diverse range of companies from Pharmaceuticals (Granules India Ltd. , Ranbaxy) to Oil and Gas (Reliance, HPCL), Commodities(TATA steel), FMCG(Marico), Automobile (Hero Honda) and Infrastructure (Cera Sanitary ware) . The participants made varied analysis during the competition using macro and micro economic trends to make compelling arguments towards their recommendations. The audience and the judges grilled them over the various parameters taken into consideration while coming to the conclusion. The judges then shared their inputs on how the presentation could have been made even more detailed and appreciated the effort and analysis of the individual teams.